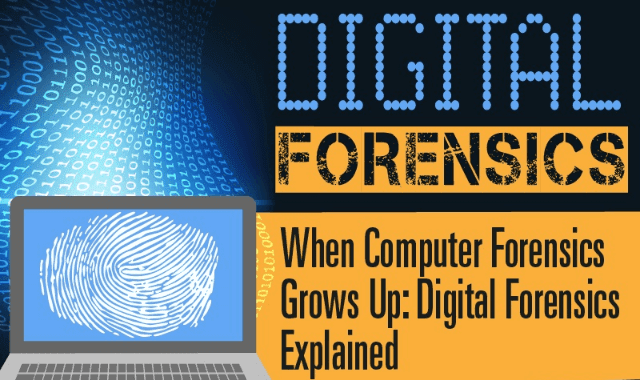 Digital Forensics #Infographic ~ Visualistan '+g+"
Digital forensics has never been more useful than it is today, no thanks to the dramatic rise in cyber-attacks. A recent New York Times article identified handling cyber crime as one of the FBI's most important law enforcement concerns. Real-life examples, like Sony's infamous PlayStation user data hack in 2011, and their Sony Pictures Entertainment (SPE) cyber-attack in 2014 are prompting more businesses to turn to experts trained in the profession of digital forensics to protect their precious data. Below we take a closer look at the field of digital forensics.